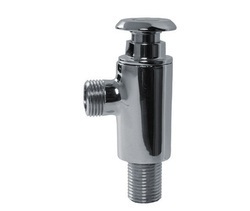 Being a leading firm in this industry, we are manufacturing a high quality range of Aquaguard Fitting Tap. Owing to the quality, our range of C.P. Bath Fittings is highly demanded by our clients based globally. These bath fittings are at par with international standards and they are checked at certain parameters before the delivery of the consignments. These bath fittings are well-known for their smooth surface finish, elegant look and easy installation. 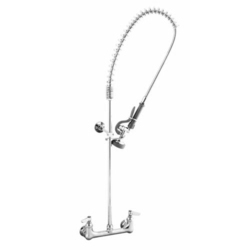 CP Bath FittingsWe are instrumental in offering a premium quality assortment of CP Bath Fittings. Enriched with vast industrial experience, we are involved in manufacturing and supplying a wide range of CP Bath Fittings that is widely used in homes, restaurants, hotels and other areas. Our range of Bathroom Accessories is procured from reliable vendors and is appreciated amidst our clients. Designed to perfection, these bathroom fittings are widely acknowledged for corrosion resistance, durability and availability in various sizes. We also meet customized requirement as per client’s technical specifications. SS Grating Dome Frame is highly demanded for bathroom fittings for its long lasting service life and reliable performance. This product is manufactured at our state-of-the-art manufacturing unit under the supervision of our professionals. Moreover, this product is offered at the market leading prices and can be customized as per the specific details provided by the clients.